Against all odds, Dijon did well to beat Olympique Lyon on the road in their last league match, but, as things stand now, the Mustards will make it to the Ligue 1 play-out in the best case scenario. 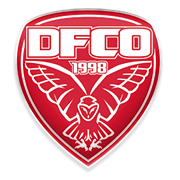 Dijon regained a much-needed confidence at the weekend and we are positive that they are going to leave their hearts on the field in the relegation six-pointer against Amiens on Saturday evening. The Unicorns, on the other hand, played out a 2-2 draw with Saint-Etienne at the weekend, with the team extending their unbeaten run in the French elite division to six games. 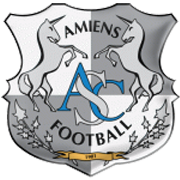 Amiens are seven points clear of bottom three ahead of the trip to Dijon and seeing that this has to go down as yet another must-win game for the Mustards, home win should be considered. 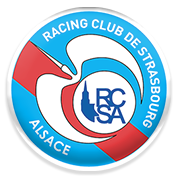 In their last meeting at Stade Gaston-Gerard the two sides played out a 1-1 draw. Mehdi Abeid is an Algerian professional footballer who played for France youth teams. He represented les Tricolores at the 2009 UEFA European U17 Championship, making appearance in each of the three group games. Abeid played for France U16, U18 and U23 teams as well in the past, but he then decided to represent Algeria on the international stage at senior level. The 180-cm-tall midfielder, who was born in Montreuil, France on 6 August, 1992 made his Algeria debut in June, 2015, coming as a substitute in Africa Cup of Nations qualifying match against Seychelles. Speaking of his club career, the Algerian international played for the likes of Newcastle United, St. Johnstone and Panathinaikos in the past before joining French team Dijon in 2016. The Dijon midfielder scored three goals in 24 league appearances for Panathinaikos in the 2015/2016 season. Mehdi Abeid is capable of playing as both defensive midfielder and a central midfielder.